I fully acknowledge that these shoes are ridiculous, and summer just started, so you probably won’t have occasion to wear them for a few months. 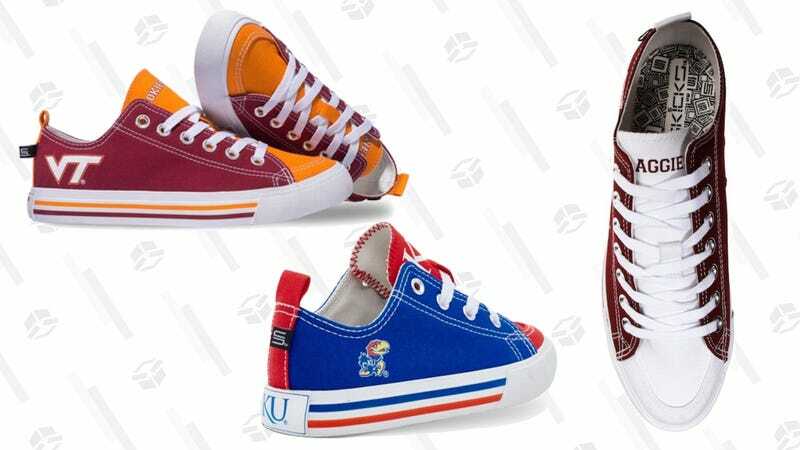 But if you want to rock some school-branded sneakers to the first tailgate of college football season, you can grab a pair for just $36 from Fanatics right now with promo code KINJA40. They don’t have every school, (my beloved Duke Blue Devils are missing, which I’m sure will upset a lot of you) but they have a lot.